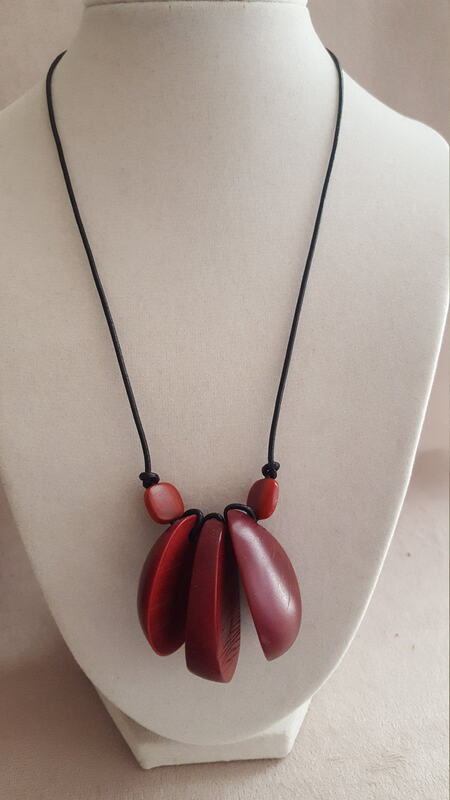 Beautiful smooth Tagua Nut sliced and strung on black leather with a tagua nut clasp. A conversation piece and one of a kind. 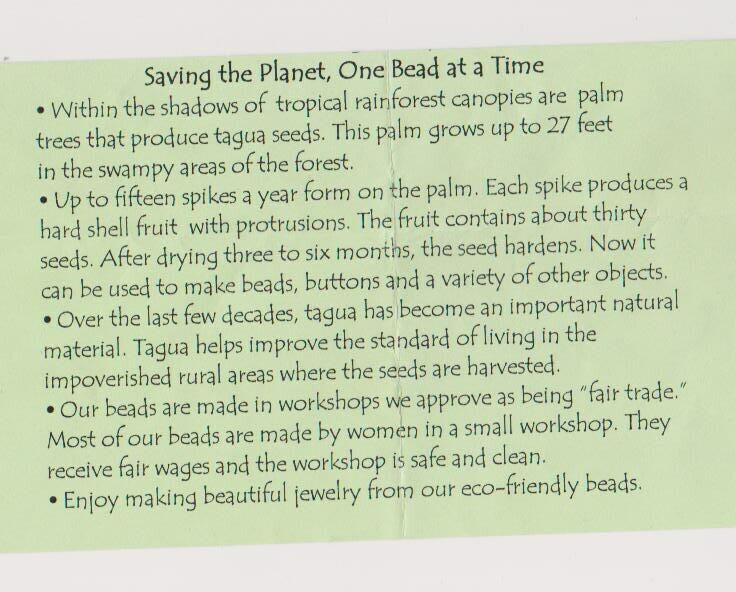 19"...Please read the description of how they are made.